Jane Brookshaw’s cartoon animals are always popular, and feature in the Barmy Farmy range from Dunoon. 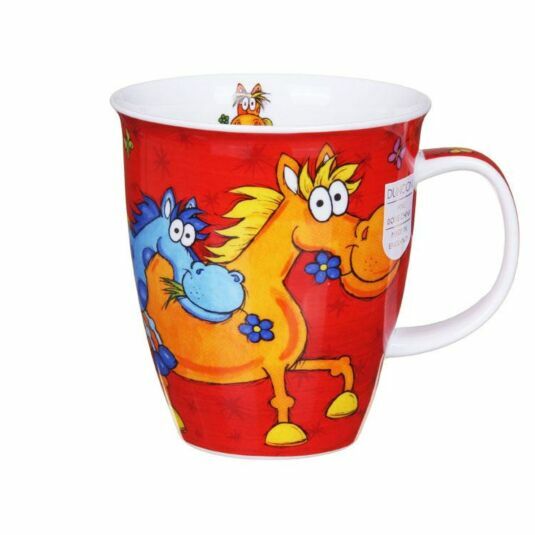 Depicted in a humorous cartoon style with crazy eyes and brightly coloured bodies they never fail to make you smile! 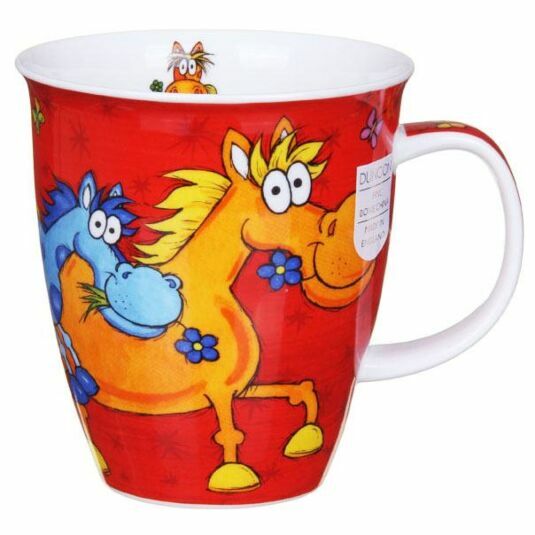 This mug features comical blue and orange horses, trotting along with flowers in their teeth.